The Hasmonean era is among the most glorious in Jewish history, yet contained seeds of self-destruction that almost destroyed everything. Many people are under the impression that after the miracle of Chanukah the war with the Greeks was over. Far from it. The miracle of Chanukah actually occurred only in the third year of the war. After the Jews reconquered Jerusalem, rededicated the Temple and experienced the miracle of the little flask of oil that burned eight days the war dragged out another five to seven years. At the time of the miracle, according to most historians, Matisyahu (the father of the Hasmoneans/Maccabees) and Johanan (the oldest brother) were dead. The year after the miracle Judah the Maccabee (the third brother) was dead. They were killed in battle. Three years after the miracle of Chanukah there was a major battle where the Greeks tried to reconquer the Land of Israel. At that time, Eleazar was killed when an elephant he attacked and wounded fell and crushed him. Five years after the miracle of Chanukah the only two surviving Maccabees were Jonathan and Simon. Jonathan was appointed High Priest, but he did not assume the mantle of kingship. Even though the Greeks were defeated militarily they now tried to undermine the Jewish government through assassination plots and pitting Jew-vs.-Jew. Jonathan was invited to a banquet by people he trusted. There he was captured, turned over to the Greeks and held for ransom demanding the Jews to give up certain cities and allow the Greeks to enter Jerusalem to re-establish a foothold there. The Jews refused. Jonathan was publicly executed despite the efforts of his brother Simon to save him. Simon was now the last survivor of the family. He became the founder of what became known as the Hasmonean Dynasty. Simon was a great and righteous person, loved both by the people and the rabbis. He set for himself the task of rebuilding the Jewish State, reinvigorating the Jewish people, throwing the Greeks and Greek ideas out of the country and destroying all of the idols. The Sanhedrin was led by two people: Rabbi Joshua ben Perachiah and Nitai Ha’Arbeli. As an aside, according to the Talmud, Rabbi Joshua ben Perachiah was the teacher of Jesus. That means that he lived more than a century before the Common Era (BCE), i.e. before the time assigned to him by the Christian Gospels. The first Christian testament, Luke, was written about 90 CE. That means when he wrote it there was no one alive who ever saw Jesus. According to the Jewish historical tradition, the founder of Christianity was apparently a compilation of several people. The main persona was dead some 200 years before the first Gospel was written. We will return to this subject when we discuss the rise of Christianity. In any event, the Sanhedrin and Simon got along famously. They shared an identity of ideas and purpose. Simon bowed to the wishes of the Sanhedrin in all matters of religion. That is why the situation went along well. Simon was not only the king, but, after his brother Jonathan’s death, the High Priest as well. This dual role signified a major historical change, and not a positive one. The leading rabbis told him, in a nice way, that a king of Israel had to come from the tribe of Judah, as the verse says, “﻿The staff shall not depart from Judah…” (Genesis 49:10). Besides the open verse, it was simply not good for a system of checks and balances to have both positions held by one person. Nevertheless, there was clearly no better man to be king. Jewish law allows for an “Emergency Decree,” which is a temporary suspension of the law under certain limited circumstances. Both king and court felt this was such a circumstance. The threat of the Greeks was still very real. There were all sorts of intrigues and cabals. Still, it was a mark held against him that he was king. His second historical mistake was to make an alliance with Rome, the up-and-coming empire. The Romans wanted a counter-balance against the Greeks to provide them a base for their legions in the Middle East. Indeed, they deployed the Tenth Legion to Israel, which would be infamous for its anti-Semitism and cruelty, and was the primary army the Romans used to destroy the Temple and slaughter the populace. The third historical mistake — which will not be Simon’s mistake but his son John (Yochanan) Hyrcanus – was to conquer and convert the tribe Idumeans, a tribe in the south of the Land of Israel, by the point of a sword. Jewish law is very opposed to converting people by force. 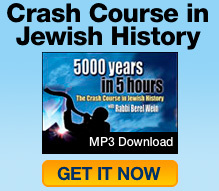 Those are not the type of converts Judaism is looking for. From those Idumeans will come Herod and a host of other troubles. Simon was assassinated by a son-in-law who was bribed by the Syrian Greek leaders. His oldest son, John Hyrcanus, a fierce warrior, immediately rushed to Jerusalem and installed himself in his father’s place as both the High Priest and King. Then he rallied the Sanhedrin and the people to his side, rescued his mother who had been held for ransom and forced his murderous brother-in-law to flee. He would reign for a very long time and die in his bed, which was a major accomplishment in those times. He achieved some great things, but left a very mixed legacy. On the positive side, he helped strengthen the Torah education system in the land, was personally scrupulous in his observance of Jewish law and raised the bar regarding the service in the Temple. He even improved the Temple edifice at great expense. In addition, he threw out the Greeks and kept the Romans penned in around Caesarea. He took over vast areas of what is today Jordan and repopulated the Golan with Jews. He pushed the border of Israel all the way to the outskirts of Damascus. He also took the seaport of Jaffe and Jews became partners with the Phoenicians in shipping and trade. That is when Jews began to move to North Africa to establish trade routes. Jews also reached Italy and Rome. Under his reign a large immigration of Jews emigrated from Babylon. In short, he brought the country prosperity and greatness. John Hyrcanus was a worthy successor to his father — until the last few years of his reign. To understand where he went wrong we must recount the emergence of a new group of wayward Jews, the Sadducees. One of the great Torah leaders in the early days of the Second Temple was Antigonus of Sokho. He was wont to say, “Do not be like servants who serve God on the condition of receiving reward. Rather, be like servants who serve God without expecting reward” (Avos 1:3). Antigonus had two followers named Zadok and Boethus who interpreted his words as meaning that there was no reward or punishment, no World-to-Come (Avos D’Rabbi Nathan 5). If you do God’s will, fine. If you do not, nothing bad will happen to you. God does not reward or punish. That was also a basic idea of Hellenism. Events happened at random. There was no reward or punishment; what you did made no difference in the long run. Eat, drink and be merry for tomorrow we die, because what is the difference? Zadok and Boethus’ interpretation aligned with Hellenistic tendencies, not Judaism. The belief in the Hereafter is central to Judaism, which posits a God who cares and who dispenses ultimate reward and punishment in a World-to-Come. A person’s soul does not just end at bodily death. Zadok and Boethus rejected those basic Jewish ideas. It was one thing to have those ideas, but it was another thing to initiate a whole movement based on those ideas and call it “Judaism.” Their followers became known as the Sadducees (after Zadok) or the Boethusians (after Boethus). The priestly class is the ruling class. The second thing they said was that there was no such thing as the Oral Tradition. It was an invention of the rabbis and every generation had the right to reinterpret it. Of course, it was a catch-22: if they could throw what their predecessors held sacred, then those after them could do the same with their interpretations — which is what will happen. From Christianity onward the Written Torah will become the most re-interpreted, and, at the same time, misinterpreted book in history. Christianity itself would spawn countless factions, each claiming to possess the gospel truth, the divine interpretation. Islam would also come along and claim to have trumped the Christians, possessing the true interpretation. The Sadducees started a whole domino effect of human interpretations which took the meaning of the text away from its Divine origins. They had an agenda in doing so. Undermining the authority of the Oral Torah undermined the authority of the Torah sages and the Sanhedrin. That fit in with their next ideological plank, which was that the control of the government should lie not in the hands of the Sanhedrin, but in hands of the priestly class. Basically, the Sanhedrin was democratic, because Torah is democratic. One does not require a pedigree to be a scholar. Respect for Torah is not dependent upon wealth or status. In fact, the Talmud says: “Be careful regarding the poor because from them Torah will emerge.” Torah comes from the humble classes. Torah is egalitarian. It is open for anyone who wants it bad enough. Some of the greatest scholars in Jewish history were converts and people living well below the poverty level. The Sages of Israel were not born with a golden spoon in their mouths. On the other hand, the Sadducees preached the philosophy of the aristocracy. The upper classes were the only ones that knew enough to run the country. The masses did not know anything. You did not have to ask their opinion. In that regard, they became heirs of the Hellenists, who preached the same ideology. During the reign of John Hyrcanus the Sadducees began to become strong. And he helped strengthen them. He believed that he was so great and his faith so strong that he was above influence. The Sadducees worked on him for years. They told him that the Torah sages were out to get him; that they did not think he should be king; that they would not let his son reign, and so forth. He listened because he thought it would not affect him, and meanwhile he would use the opportunity to inspire them toward his point of view. The Talmud (Kiddushin 66a) records the key incident that changed him. He threw a banquet where members of the Sanhedrin were in attendance. One of them accused him of being illegitimate; that his mother had been raped when she was in captivity for a short period of time. Furious, he demanded an inquiry. The rabbis reviewed the details and cleared his mother; he was legitimate. However, from that point onward John Hyrcanus heard the echo of the poison that the Sadducees had fed him. All the years of good feeling between him and the sages of the Sanhedrin began to wane. Little by little suspicion replaced trust. This was the beginning of the conflict between the Sadducees and Pharisees. The Pharisees were the Torah sages, the traditional Jews. The Hebrew word for Pharisee, Perushim, means to separate, because they separated themselves from the Hellenists and all outside influences. They attempted to remain in a pristine, unique state of Judaism. Later, the Christian Gospels would paint some very negative images of the Pharisees, which would become embedded in Western and World culture. However, they were the great leaders of Israel. Hillel, Rabbi Akiva and others that even many in the non-Jewish world recognize as the epitome of benevolent, sagely people were Pharisees through and through. In addition, Josephus and others point out how the majority of the Jews sided with the Pharisees, about 75-80% of them. However, the Sadducees were a very powerful minority. They were part of the wealthy, aristocratic class and strategically placed in government. They also dominated the Temple and served as its priests. In short, they held a disproportionate amount of power. The situation would lead to an all-out war between Jewish factions; a very uncivil civil war. It would be a political-religious struggle conflict that would last a hundred years and generate enough enmity to tear apart the Jewish State from the inside in ways outside enemies could not. It would be so horrific that it can be said if the Jewish people survived that they could survive anything. I just added this blog to my rss reader, excellent stuff. If I could write like you I would start my own blog.